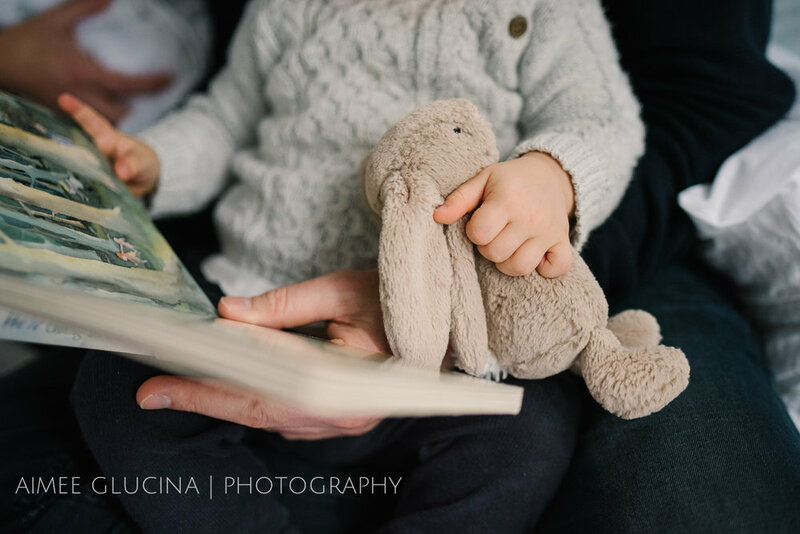 If you’ve read my Brand Story (which you can find here) you’ll know that my approach to family and newborn photography is a relaxed one. I am lead by the people that I’ve been invited to photograph. After-all it’s your story I’m telling, not mine. The result is that every session is unique and beautiful in its own way. Sometimes I’ll get shy kids who need help to come out of their shell. 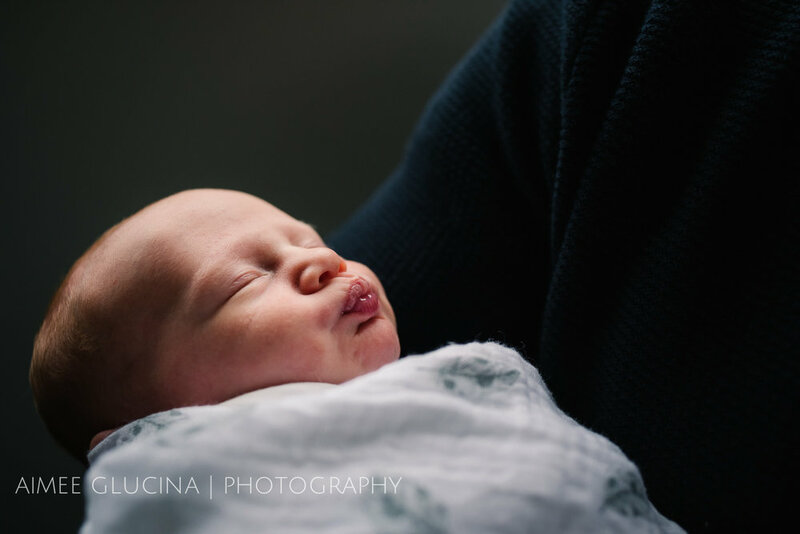 Sometimes I’ll meet dads who would rather be anywhere but in front of a lens. Sometimes mum will be feeling self conscious about her post baby body and the disarray that a new life has brought to her home. And other times, I’ll meet a little firecracker that would much rather that I’d come to play than come to take his picture. And that was the case for the gorgeous Higgins family. From the moment I walked in chatty toddler Finn embraced me. 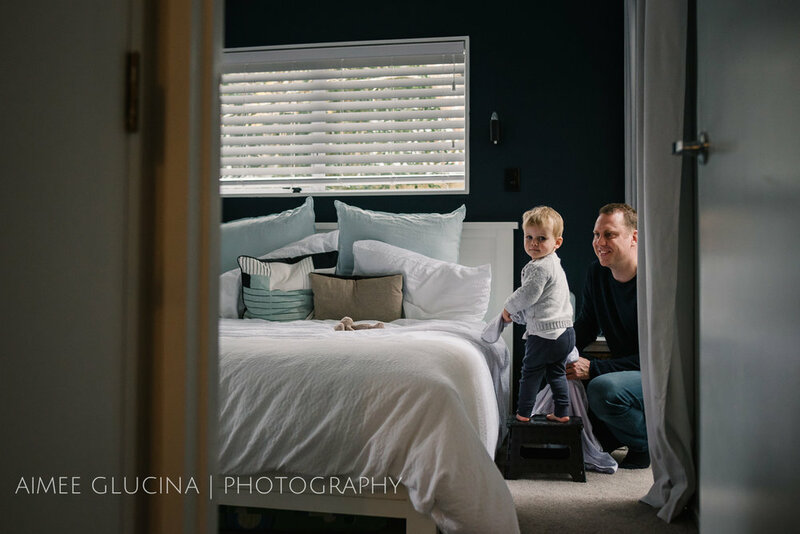 He showed me the amazing cardboard box cubby-house his dad had set up for him in the lounge. He found beauty in the form of a moisturiser bottle and was adamant that I enjoy its aesthetic delights too. And he proudly showed me how he could cleverly use his new baby sister’s car seat as a rocking chair. It’s all in a delightful and wonder-filled day’s work when you’re not quite two years old yet. 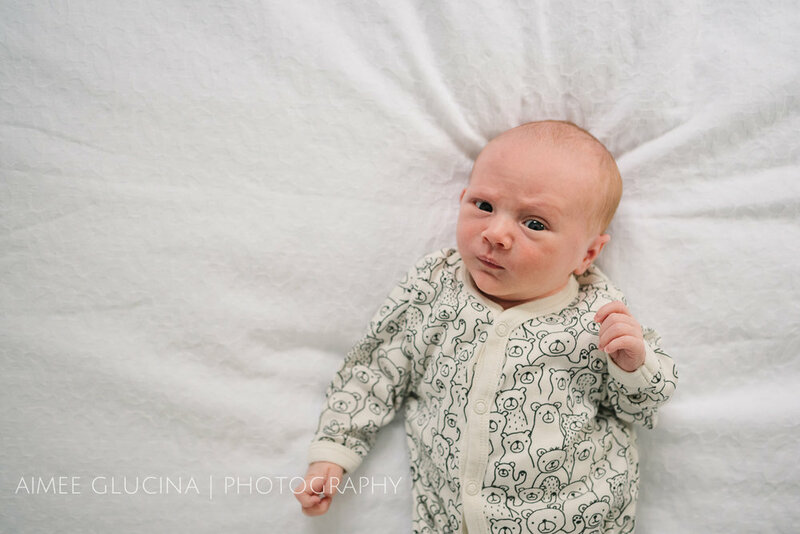 Finn was also the one who first introduced me to Lucy; his delightfully petite newborn sister. There was a mixture of pride and curiosity in his face when he did. From there we went on to spend a morning alternating between play and photo taking. 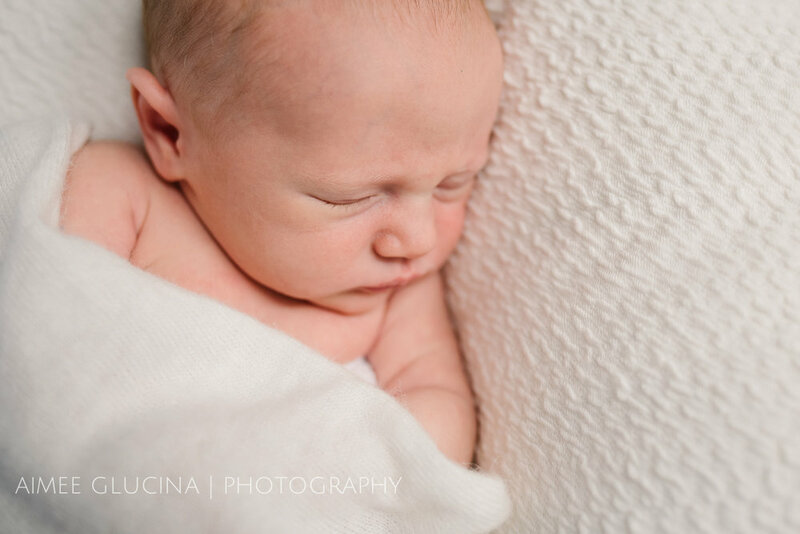 Allowing restful Lucy to just do her thing and grabbing the moments in between. This is what I love about spending the morning with my clients. 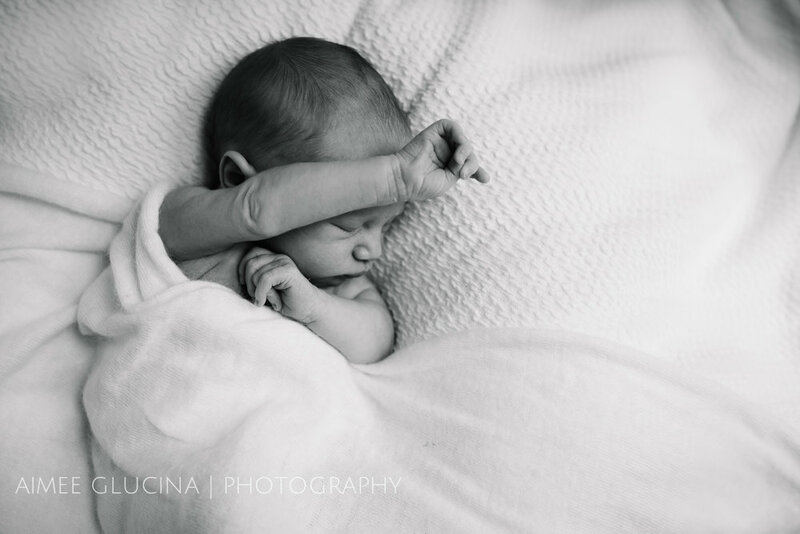 It’s not about racing in and trying to set up a number of poses in the small window of time that a newborn spends deeply asleep. It’s about allowing a family story to unfold. And capturing the beauty of it as it does. 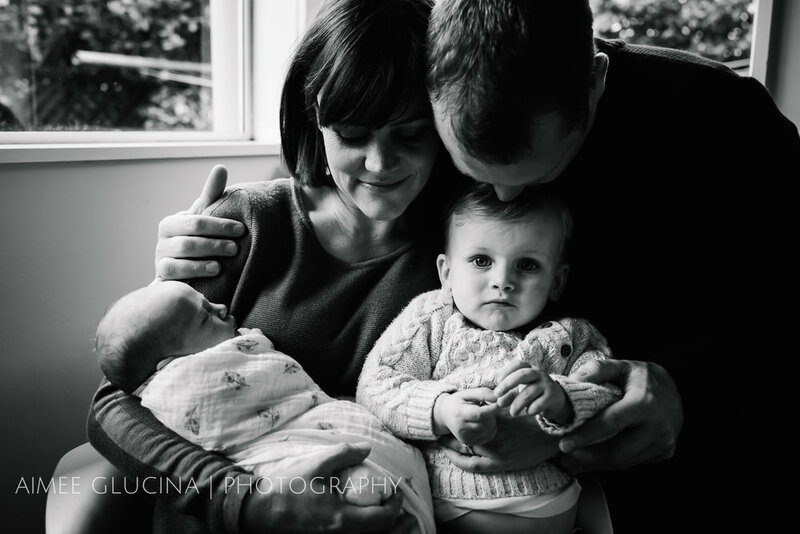 Jo and Dan, thank you so much for choosing me to capture your growing family. 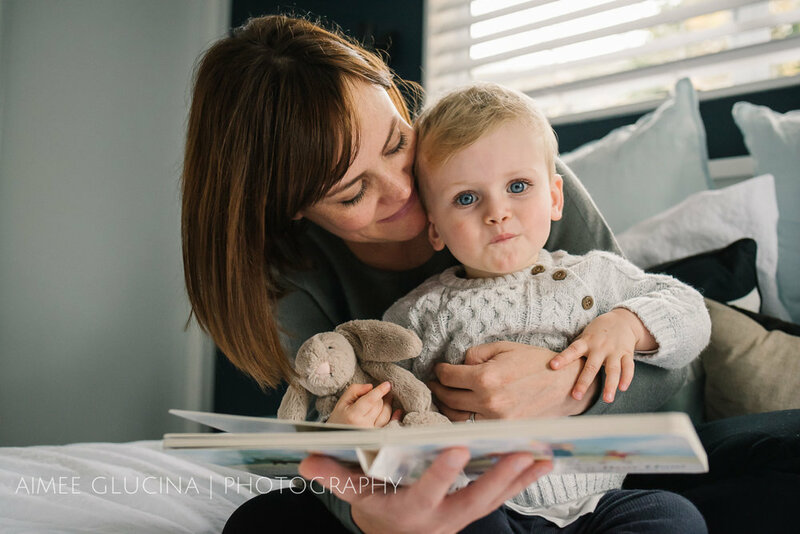 I loved my morning with you and I hope you equally love these photographs of your beautiful family.